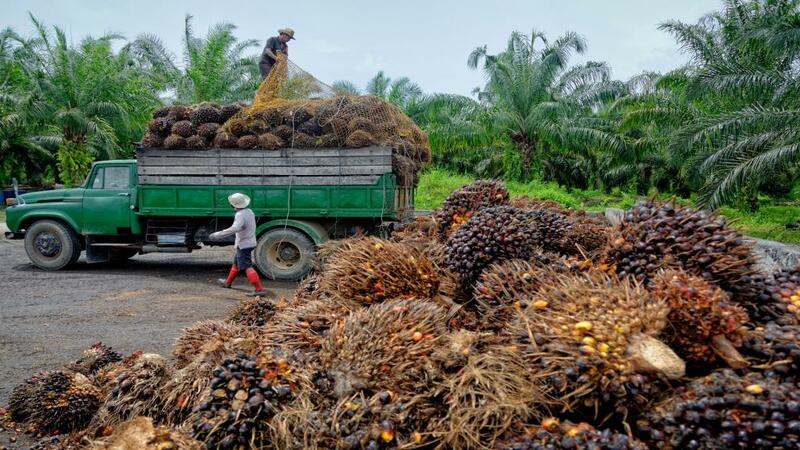 Nine communities from the Democratic Republic of Congo (DRC) recently filed a complaint with a European consortium of lending banks, which has been funding a palm oil plantation company, accusing it of illegal theft of their land and livelihood. German Development Bank (DEG) has an independent complaint mechanism to deal with investors overreaching or unethical practices against local community rights. On November 5, the nine communities filed a complaint, accusing the DEG of being aware of the historical land conflict. In 1911, the Belgian colonial administration awarded one million hectares of land to a British company, Lord Leverhulme. This land, communities claim, has been part of their traditional land and of many others. With the support of Belgium Army, the company used violent means and slavery to extract palm oil for its Sunlight Soap factories in the UK. At the same time, it erected several oil palm plantations in the allocated area. This company further merged with the Dutch based Margarine Unie, renamed as Unilever in 1930. The communities include Yanongo, Mwingi, Mwando, Lokutu, Bogemba, Bokala, Bolombo, Bolombo-Elinga, and Boteka and are located in the Lokutu plantations area in Tshopo and Boteka provinces. A report by Grain, a Spain-based non-profit that works for farmers says that this will be a test case to see whether complaint mechanisms of lending banks can address the issue raised by local communities affected by agribusiness companies. “It will also set a precedent when it comes to legacy land issues,” it added. In 2009, Uniliver sold its DRC oil palm subsidiary named Plantations et Huileries du Congo (PHC) to Canadian company Feronia Inc. with no previous experience with plantation. It also allocated 100,000 hectares of land to a new company in the region. PHC also tried to exercise control over this land. These development banks have provided US $180 million financial assistance since 2013. The development funds of the UK, Spain, France and the US directly or indirectly hold shares of Feronia Inc. European consortium bank DEG financed PHC with US $49 million. Some people from these communities also work in the plantation. Since Feronia took over PHC, the complainants say that working conditions have worsened. Most of the workers don’t even get the mandated daily wage and work without any social security. DRC is among the world's most vulnerable countries to malnutrition and hunger. Since accessibility of land is directly connected with hunger, the severity of hunger increases whenever there is conflict with land accessibility. Although communities had earlier informed the authorities concerned, their complaint was largely ignored. This time, the communities hope that the conflict will be resolved by defining the area of land over which PHC can operate and also the conditions under which it may do so. Several international advocacy groups including GRAIN, World Rainforest Movement, SOS Faim Belgium, Oxfam Solidarité/teit signed the complaints.